This week I joined 150 fellow enthusiasts in Sydney to celebrate the Golden Anniversary of the first motor racing at the Warwick Farm circuit. 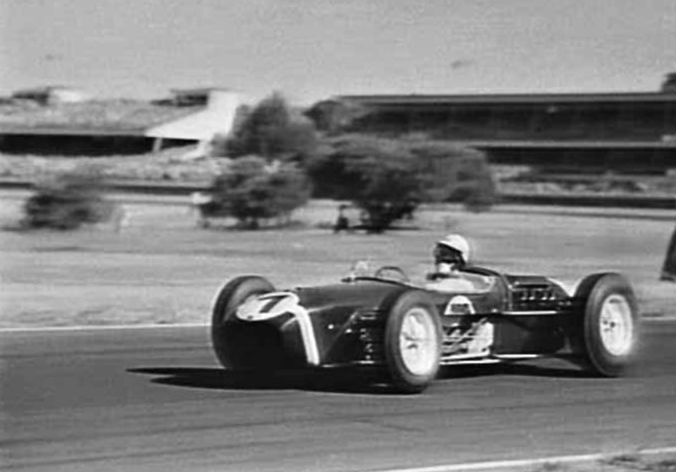 In January 1961 the man who led the world’s top drivers to Australia, and won the first international race at ‘the Farm’ was the great Stirling Moss. Here he is in an iconic photograph by Don McPhedran (now held by the State Library of NSW) leading the field on a 32 degree day, with the side panels of his Lotus 18 removed, to let heat escape the cockpit. His win was an impressive demonstration of his consummate skill in difficult conditions. 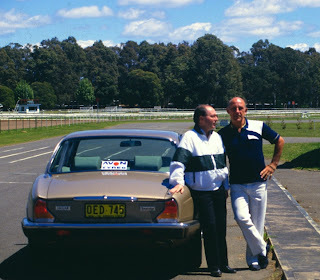 Twenty years later I had the good fortune to meet Stirling in slightly different difficult conditions when an inept entrepreneur left him stranded in Melbourne without accommodation or transport. 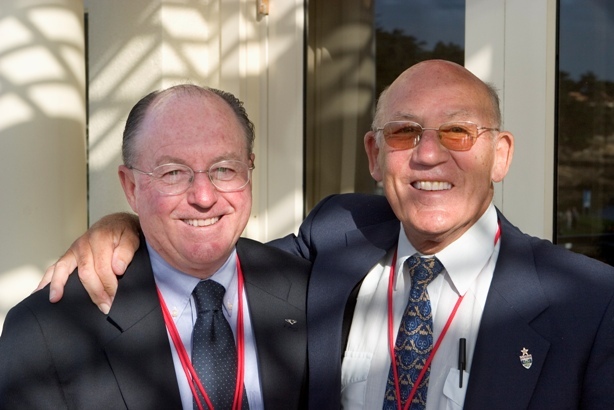 A mutual friend asked me to arrange a hotel and car, and from this meeting began a 30-year friendship. I engaged Stirling to come to Australia many times after that meeting, as an ambassador for Jaguar, conducting test drive days for Jaguar owners and enthusiasts at the old Warwick Farm circuit, and I was his ‘Minder’. 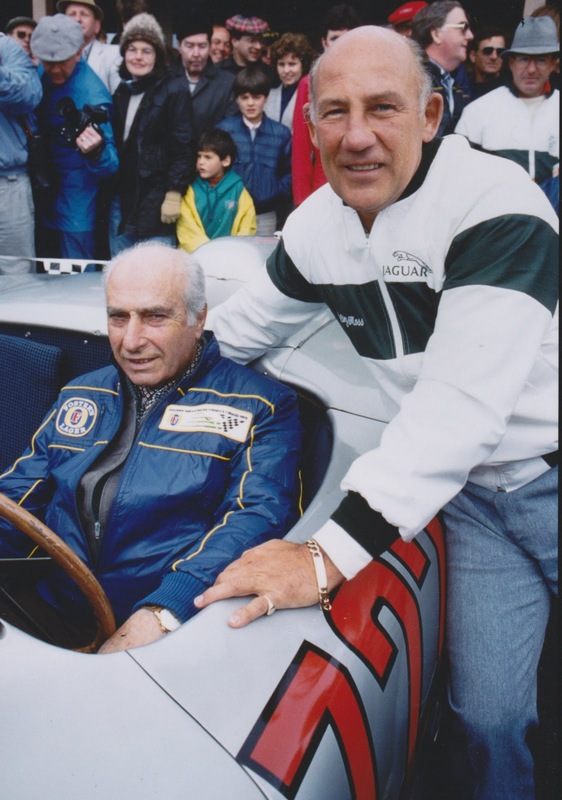 One of the greatest moments I witnessed was when he joined ‘his hero’ Juan Manuel Fangio at the Adelaide Grand Prix in 1986. Spending time side-by-side with these two greats was a unique honour. Although now separated by retirement, and the oceans, these days I am able to meet Sir Stirling and Lady Moss regularly at the Pebble Beach Concours d’Elegance, where Stirling is an Honorary Judge.